WASHINGTON (AP) — Eight members of the nation's oldest black sorority are getting a second chance to question what they say were improper payments to their group's former president and her spending of sorority money on clothing, jewelry and a wax statute of herself. 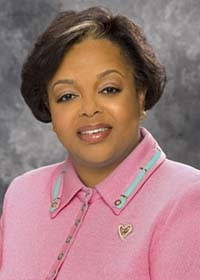 The members of the Chicago-based Alpha Kappa Alpha sorority sued the sorority and its then-president Barbara McKinzie in Washington in 2009. The sorority sisters questioned $375,000 McKinzie had received in one year as president of the group, saying the money had not been approved by members. They also alleged she bought designer clothing, jewelry and lingerie with sorority money. A judge threw out the lawsuit in early 2010, saying the women brought the wrong kind of lawsuit and citing other problems. On Thursday a three-judge panel of the D.C. Court of Appeals said the first judge had erred and the lawsuit should be allowed to go forward. "Dismissal with prejudice at the very outset of the litigation came too soon and blocked any consideration on the merits of any of the claims," wrote Judge John H. Steadman. A lawyer for the sorority members, Christian R. Eriksen, said his clients were pleased and "look forward to resolving this matter." A spokeswoman for the sorority, Melody McDowell, said the group was reviewing the decision but would have no comment while the case is pending. The group's lawyer, Dale Cooter, said he was disappointed and that his clients maintain that they did nothing wrong. AKA was founded in 1908 at Howard University in Washington and has a worldwide membership of 260,000. McKinzie became president of the group in 2006. During her tenure, according to the lawsuit, the sorority paid for two wax statues for the National Great Blacks in Wax Museum in Baltimore. One of the statues was of McKinzie and the other was of the group's first international president. McKinzie previously said they cost $45,000 and were approved by the sorority's board. McKinzie finished her term as president in 2010. "I know truth will prevail," McKinzie said when reached by telephone at her home in Illinois on Thursday, declining to comment further.